As wildfires become more prevalent and more severe, these 'megafires' are not only deadly and destructive, they may also negatively affect wildlife species that depend on habitat that lies in their wake, according to new research published in the Journal of Applied Ecology by UConn researchers working with the Institute for Bird Populations and the U.S. Forest Service. "Globally, and especially in the American West, we see a trend toward fires becoming larger and more severe," says Andrew Stillman, a Ph.D. student and lead author of the study. "Unfortunately, these fires are becoming the new norm, due to a combination of drought, fire suppression, forest pests, and the effects of climate change." 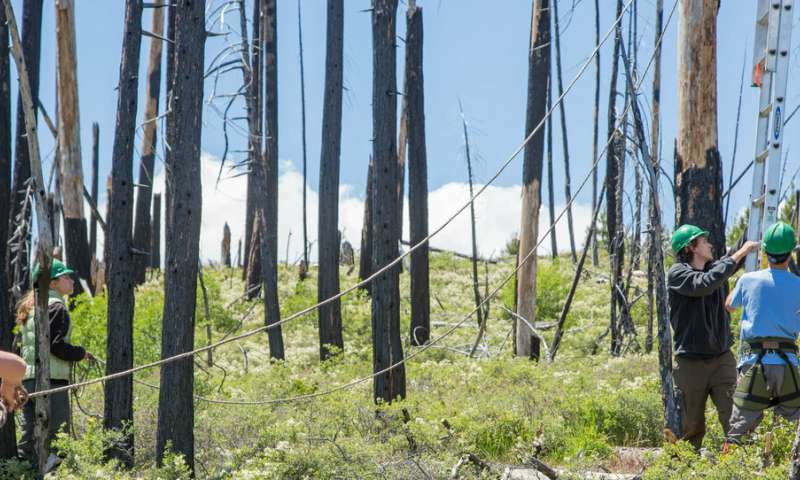 "When a fire burns hot and moves across the landscape, it leaves behind a forest of snags that provide a feast for beetles and their grubs, which in turn are food for larger animals," Stillman says. "It's a good thing when a fire burns at a diversity of intensities," he adds, "because it leaves behind a variety of habitats." "The beetles come in very rapidly after the fire," he says. "We've heard accounts from firefighters who have watched swarms of beetles coming in and laying their eggs in trees that are still warm from fire." Soon the black-backed woodpeckers follow, seeking out the beetle grubs to feed on, and they also excavate trees to make nests for their young. "Black-backed woodpeckers are an enigmatic species that loves recently burned forests," says Tingley. Since they thrive on recently dead trees, they might be expected to love huge, severe fires, where every tree has been killed. "What we found, however," he adds, "is that it is not that simple." Stillman says megafires result in vast, uniform landscapes of burned habitat with less diverse landscapes. "Essentially, there is no cover left for young woodpeckers to hide from predators," he says. "In general, more species benefit when there is greater diversity in habitats," Stillman notes. "A major benefit from pyrodiversity is that it provides variation in habitat that benefits a wider array of bird species. 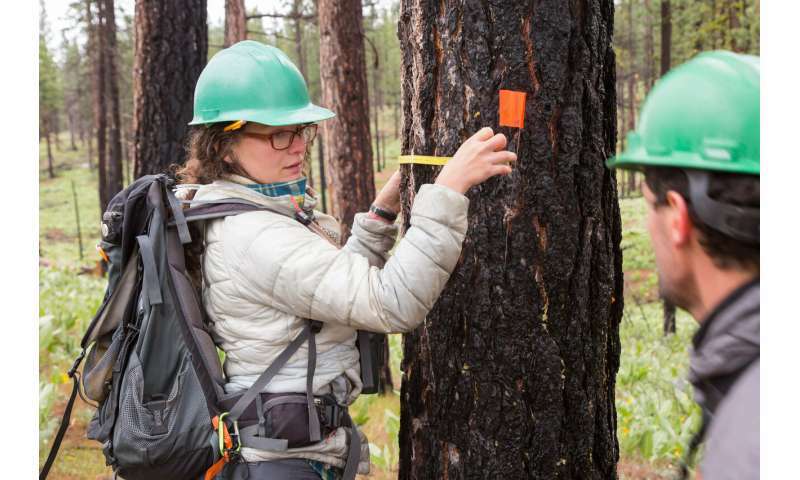 This research shows that more fire is not always good, and that even post-fire specialist species have a limit to what they can take." 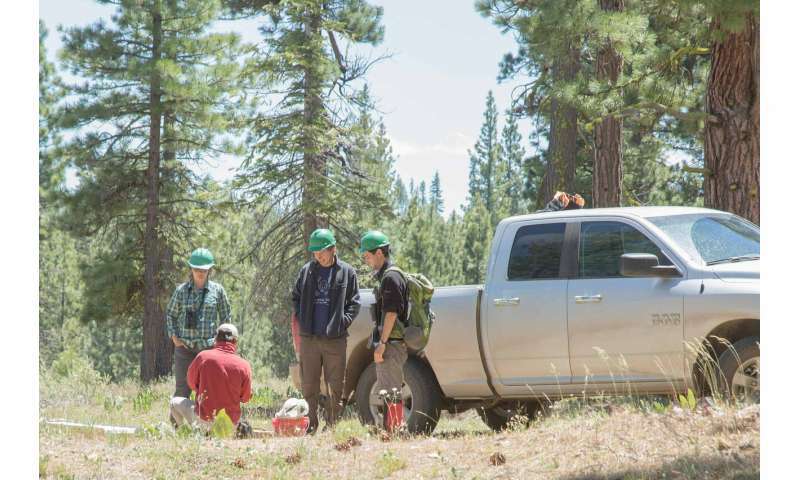 The study's findings also have significant implications for management practices that aim to support biodiversity in fire-prone areas while balancing the economic needs of timber supply. Post-fire forests are sometimes logged very heavily after a fire burns. 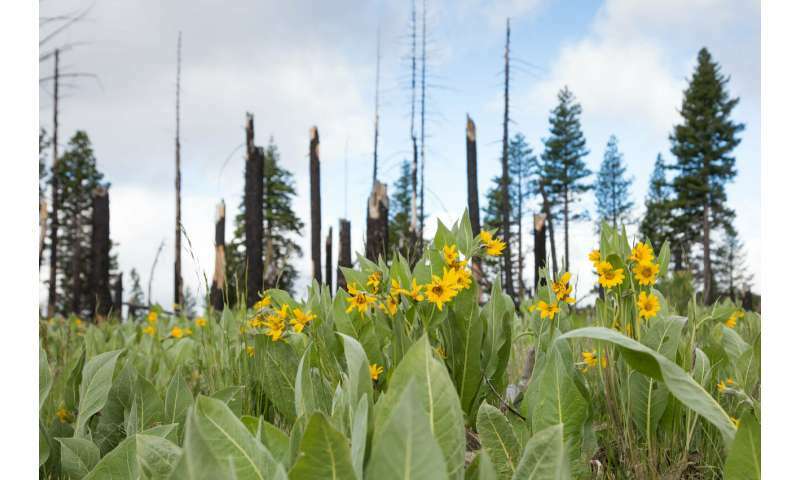 "For the species that depend on burned areas, logging can remove the unique habitat these species need to survive, Stillman says. "But humans have the ability to determine which areas are affected the most by logging activities. 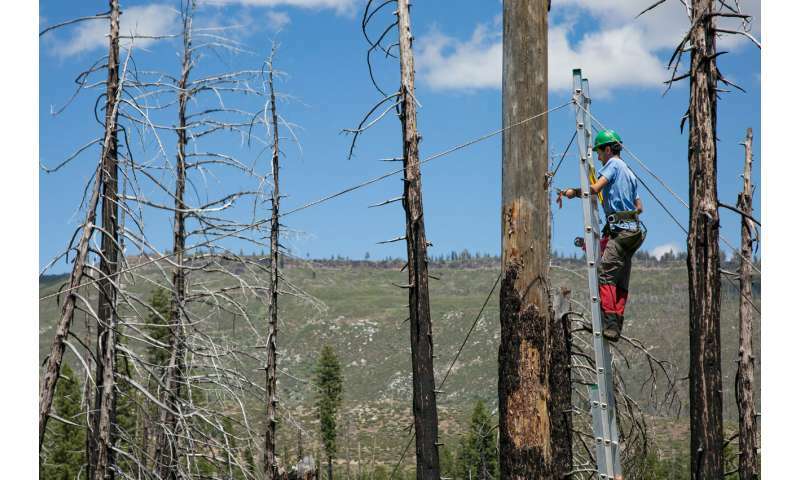 Should we take timber from areas burned at high severity or low severity? This paper really informs that debate."